Hi everybody. A few weeks ago, my sisters decided to hop in their car and make the drive from Maryland to Quebec. I love how they are young enough to do that! I say, do it now before you have kids! They had a great time together; even in the freezing cold weather! 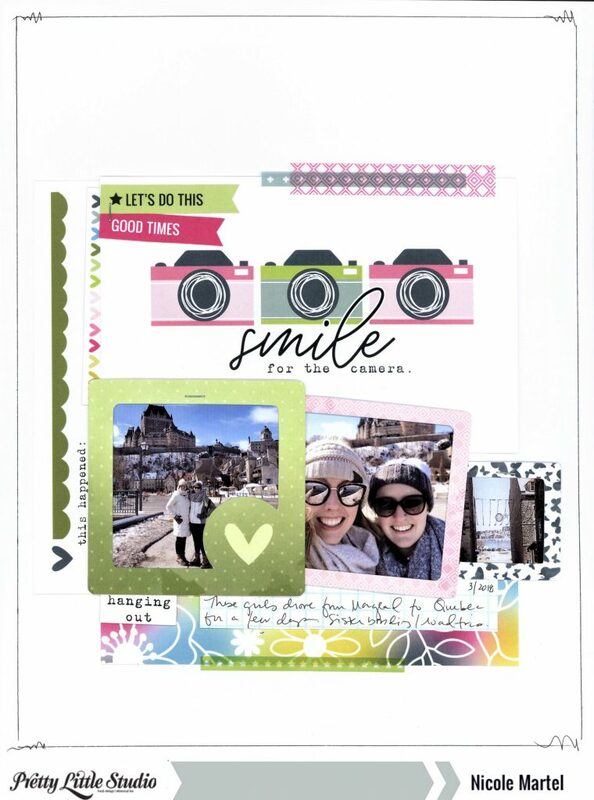 The Sweet Life collection worked perfectly for this layout because I wanted to brighten up the layout and make it colorful and happy. I was inspired by this image from Pinterest. 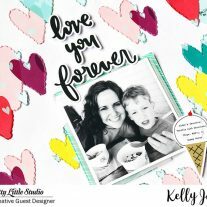 I was inspired by the pretty colors which made me think of Pretty Little Studio’s Sweet Life collection. Perfect! For the background, I used 3 4×6 journaling cards. I love the floral print and “smile for the camera”. They were perfect elements with the photos. I cut a few word flags and stapled them to the top left-side of the journaling card. Then added a few strips of vellum tape to the top to help frame the layout better. I love working with die cut frames. They are my favorite and really adds to the design of any layout. Just layer them together and you’re done. What do you think? This was a quick and easy layout. I just love the colors. 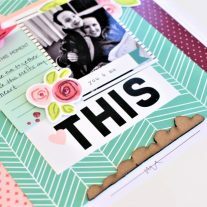 What is your favorite paper/embellishment from this collection? It’s such a happy/bright collection.